The news page is what we are doing now, but the past holds some great memories of things we've done and the cars we've done them in. Relax, this is a family friendly site so no naughty doings will be mentioned. As I remember things, they will appear here. They won't be in chronological order as my memory doesn't work like that. Sometimes a few words or a picture will bring the memories flooding back and it's pictures that prompted this page. My wife has been transferring a few hundred 35mm transparencies to digital format and some of the pictures make me wax nostalgic. I remember the trip home, from Sheffield I think. Breezing along merrily at about 60 mph on a hot day, my wife decided to open the quarterlight to try to get some airflow into the car. I nearly jumped out of my skin when she yelled out. I glanced across to see her hanging onto the quarterlight to stop it dropping off the car. The bottom hinge pin was broken and it was slipping down from the top one. Thankfully she managed to get it shut again and the rest of the trip passed without any further problems. 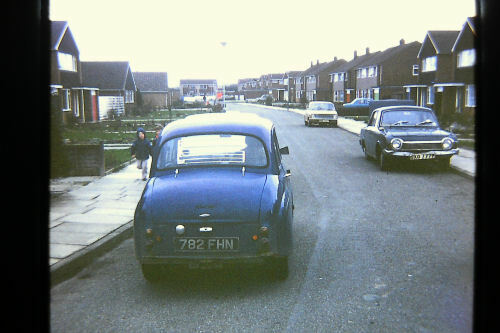 The car before the ZA was a Mk1 Ford Cortina GT, which I bought from a friend. He said he'd just replaced the front wheel bearings and they would need checking after about 100 miles of running. This is significant as will be seen later. This was a super car, very quick for its time. This shot is from April 1975 at Stanstead Airport where I was on a training course. The snow is the remains of a six inch overnight fall. On the way down to Stanstead I was overtaken on the A1 by a young girl in a Triumph Spitfire, top down and hair blowing in the wind. Not one to let this go, I took off after her and caught her near Stamford, outbraked her into the roundabout and went barrelling through. On the exit I noticed the front end didn't feel right, very loose and imprecise. Luckily there was a layby that I could pull in to and when I stopped I noticed grease spokes on the nearside front wheel. I jacked the car up and found the wheel bearing wasn't doing much at all. I ended up with a big bill for a new front strut (the inner race of the bearing was welded to the stub axle) and two nights in an hotel. I hadn't forgotten about adjusting the bearings as my friend advised. I'd adjusted them just before leaving for my trip, however I'd never met taper roller bearings before and I'd nipped them right up. Big mistake! A lucky escape and an expensive learning curve. 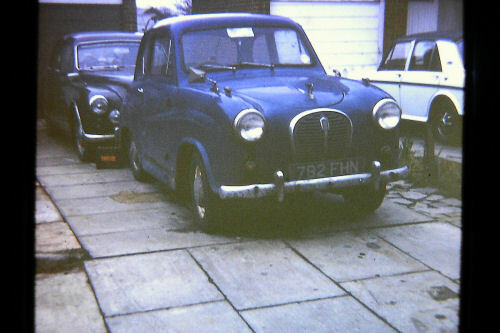 Exact dates are a bit hazy but the Austin A35 joined the stable some time in 1975. I know we ran both together but can't remember exactly when it was bought. I bought it from a workmate for the pricely sum of a fiver. It sounds cheap but it proably wasn't in the 70s. It had no tax or test and had been stood outside unused for a few years. The passenger side footwell had a couple of inches of water in it and some other workmates said I was crazy for buying it because of the water. The fact that the water was there meant that there were no holes in the floorpan, which was a good thing in my book. There soon were holes in the floorpan, the ones I drilled to let the water out. I dried out the carpet, found and sealed the source of the leak and that was that. I got it tested, insured & taxed and it became my wife's daily driver. This old lady served us well. Sure it had it's problems but I don't recall anything major. As part of her training my wife had to do on the job training and this took place in York & Newcastle. Both places are about 45 miles from home, so this car did a few months doing 90 mile round trips 5 days a week. 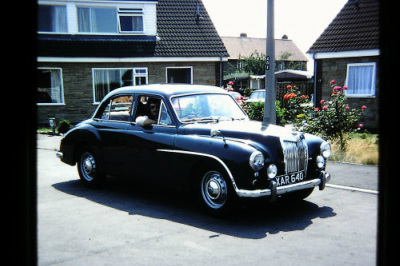 In 1977 we took it to the MG Car Club meeting at Silvestone one year. A strange choice of car for an MG meeting but we were going on to an A30/35 Club gathering afterwards which was the reason for the choice. That weekend we put over 500 miles on the clock without a hitch. Where this event was escapes me but it must have been relatively close to Silverstone for us to have decided to go. If anybody knows, please let me know. 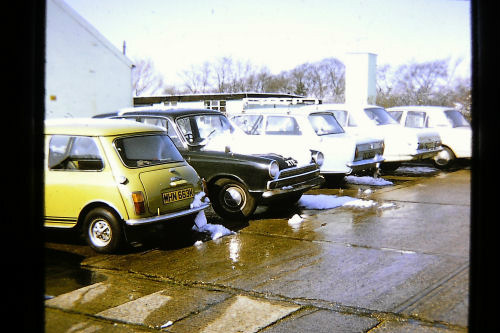 We parted company with this great little car in 1978. Sadly I can't remember whether we sold the car as a runner, or scrapped it, but I do remember it being the best value for money car we'd ever owned.